Every January travel industry professionals gather in Madrid, Spain, to get the latest information on travel and to make deals and collaboration arrangements. It is a big trade show with eight large halls filled with sales booths of tourist destinations and travel related businesses. The fair is open for public only for two days (five days for professionals), but those two days are filled with music and dance. 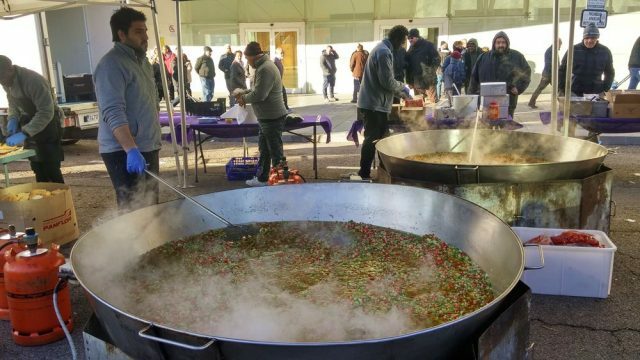 Sure, it is possible to find valuable information and get travel tips from representatives at the booths, but as far as residents of Madrid who visit the fair are concerned, the best things are freebies and shows. 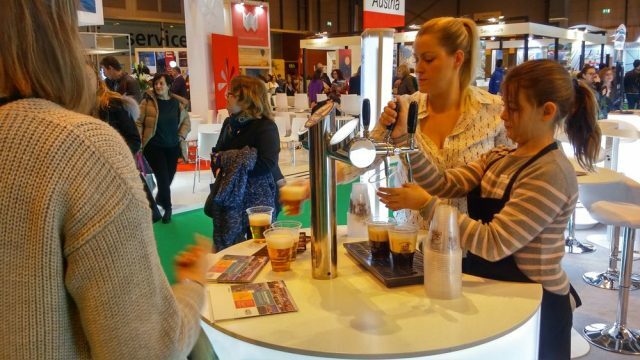 Stands that provide free food, beer, juice, and gifts are popular. As the morning turns into afternoon, queues at these booths grow longer by the minute. The biggest shows were given by destinations, like Asturias (an autonomous region in northern Spain), Andalucia, and Costa Blanca, not by businesses. Tourism is a key industry in Spain, and every region wants its share of the revenue travel generates. Three out of eight large exhibition halls were dedicated to Spain. Meanwhile, outside the busy fairgrounds, Madrid’s taxi drivers were on strike. The drivers had purposely chosen the first day of the strike to take place the day before the fair started. They blocked the traffic on a major road that led to the fairgrounds. Metro (underground) brought visitors to the travel fair instead of taxis. People didn’t seem to be bothered with taxi drivers’ loud demonstrations that went on for 24 hours a day. Taxi drivers opposed new competition, like Uber and Cabify. 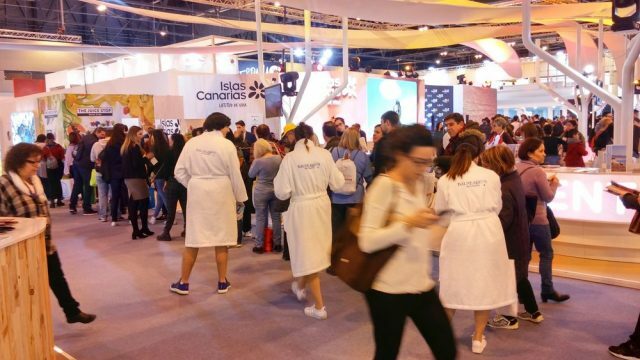 Fitur fair is primarily a meeting place for travel professionals who arrive in Madrid from every region of the world. Two days of song and dance at the fairgrounds is plenty of fun everyone who is looking for ideas where to travel next, like Valencia in Spain or Portugal’s South Coast. 2019-02-09 by Klaava in Spain. Tags Fitur, Madrid, taxi strike, trade show, travel fair, Travel Show. 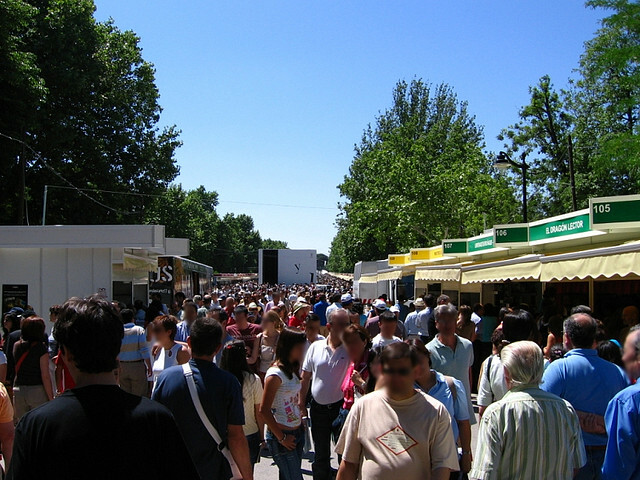 In 2015, la Feria del Libros de Madrid (the festival of books) is organized in the capital of Spain for the 74th time. 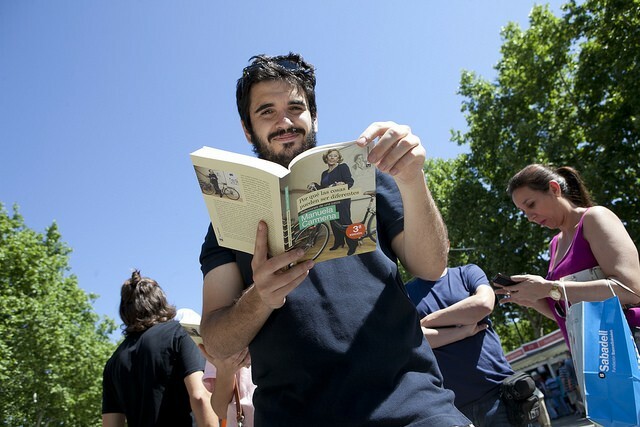 This time, the festival has attracted 471 bookstores from Madrid and from other Spanish cities to celebrate books. 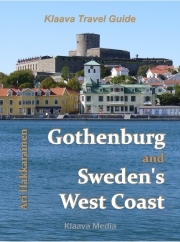 Participating stores will sell books in their stalls in the city center during the first two weeks of June. Also authors get to meet readers and sign books. If you happen to be in the neighborhood, look for Parque del Retiro in Madrid, and you will find the festival. 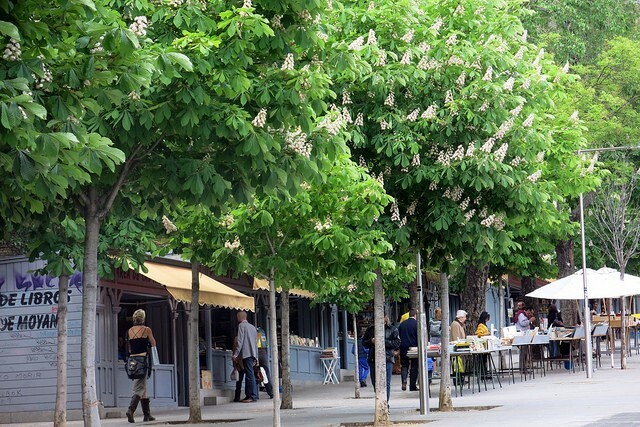 El Pais reported that despite the high unemployment and relatively weak economy that has been troubling Spain for a few years, the atmosphere was optimistic. 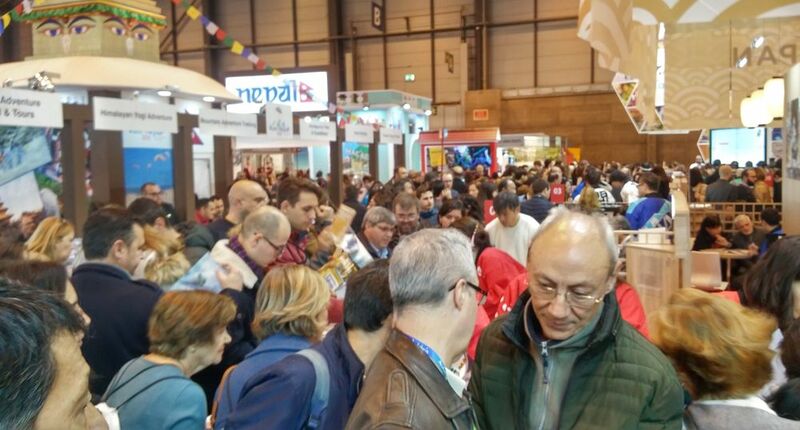 Here are a few select photos taken at the book fiesta in Madrid. Photo by Ahora Madrid on Flickr. Photo by deramaenrama onp Flickr. Photo by manuel on Flickr. 2015-06-01 by Klaava in Spain. Tags books, Feria, festival, Libros, Madrid, Parque, Retiro.